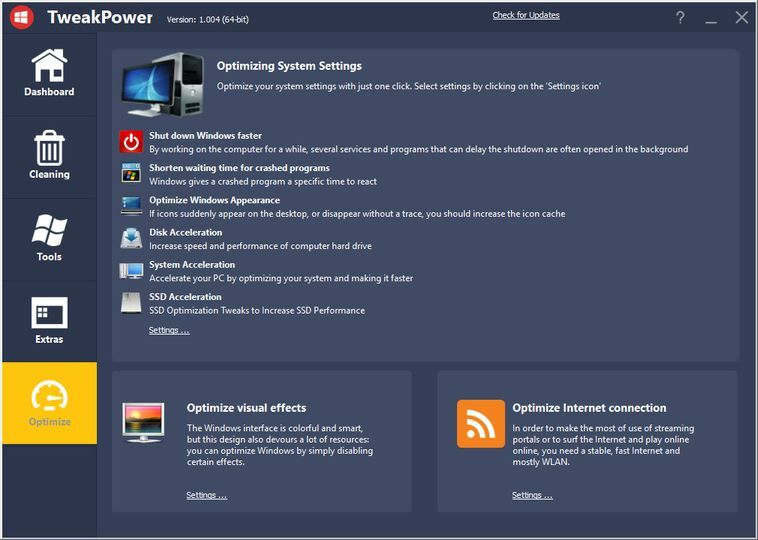 TweakPower is a tool that can clean up and optimize a Windows PC to improve performance. 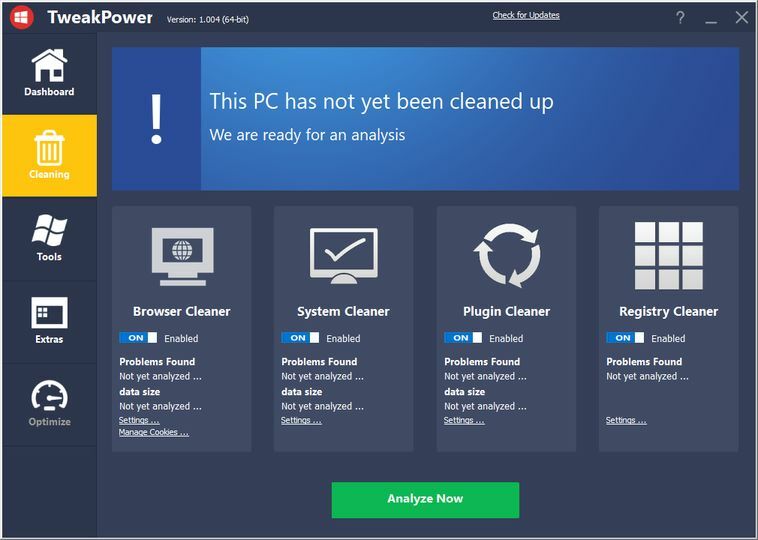 You can use it to remove unnecessary files, clean up the registry, delete internet traces, and optimize your computer. 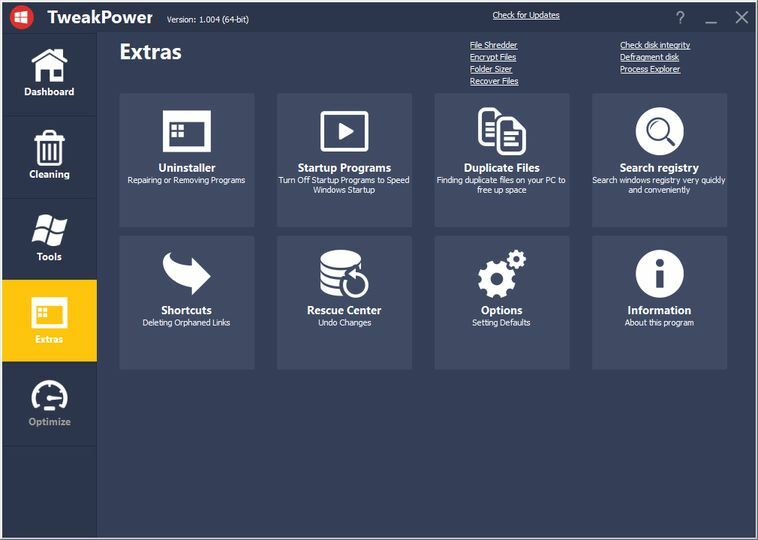 You can manage autostart programs and scheduled tasks, and manipulate power usage of the PC. 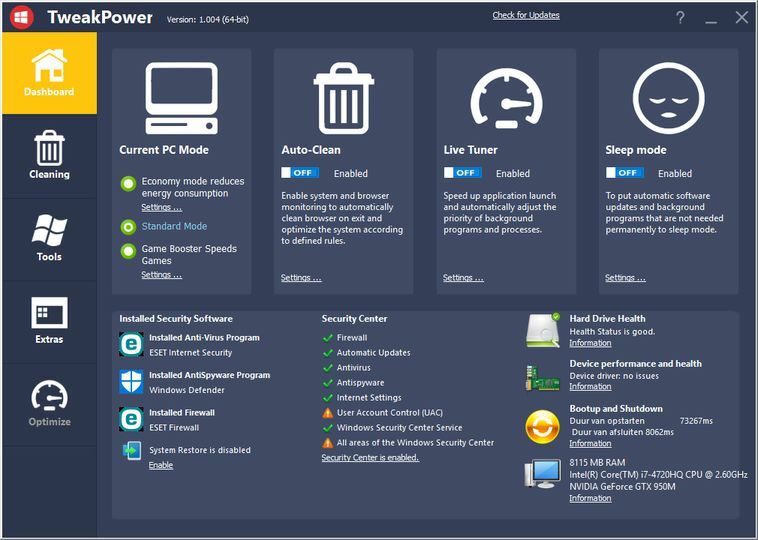 Turbo Mode allows you to temporarily kill all kinds of processes and services if you need to dedicate resources to one application (such as a game). 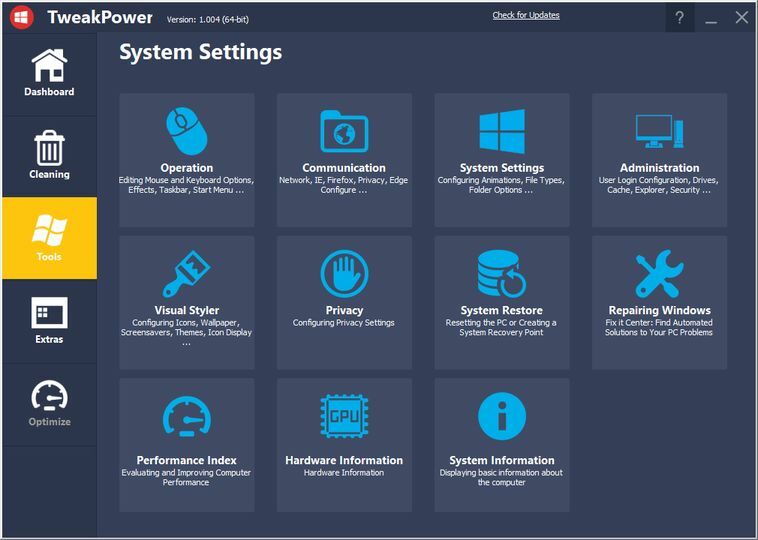 You can easily manage firewall settings, Windows Update settings and so much more.